The High Court has held that parents must be clear in agreeing on their childcare arrangements and accurately notify the Commissioner of any change in living circumstances that may affect the determination of the care cost percentage and other specified matters for child support purposes. Ms Pethers had a daughter with her ex-partner, Mr Walsh, the second respondent. Following her daughter’s birth in June 2009, Ms Pethers applied for, and was paid, child support. From November 2011, she was granted day-to-day care of, and Mr Walsh was granted visitation rights to, their daughter. Ms Pethers lived in Northland, New Zealand. In September 2012, Mr Walsh moved to Perth, Western Australia. In 2016, their daughter spent three months with Mr Walsh. In October 2017, Ms Pethers and Mr Walsh agreed their daughter would stay with Mr Walsh in Perth. There was disagreement between them as to how long the visit was agreed to be. Ms Pethers said it was a temporary visit to end in July 2018. Mr Walsh said that in March 2018, Ms Pethers agreed to their daughter staying with him until January 2019. However, both accepted their daughter lived with Mr Walsh in Perth from 24 December 2017 until she returned to Ms Pethers in New Zealand on 22 July 2018 after Ms Pethers threatened to apply for return under the Convention on the Civil Aspects of International Child Abduction (the Hague Convention). Once her daughter returned to her care in July 2018, Ms Pethers applied for a fresh assessment for child support. She was then assessed as having 100% of the care and therefore entitled to child support. Mr Walsh was assessed as having 0% of the care and liable to pay child support. In March 2018, the Commissioner stopped paying child support to Ms Pethers. The Commissioner assessed Ms Pethers as not being responsible for providing “at least 35%” of her daughter’s ongoing daily care because her daughter had been living with her father in Australia since December 2017 and expected to do so until at least June 2018. 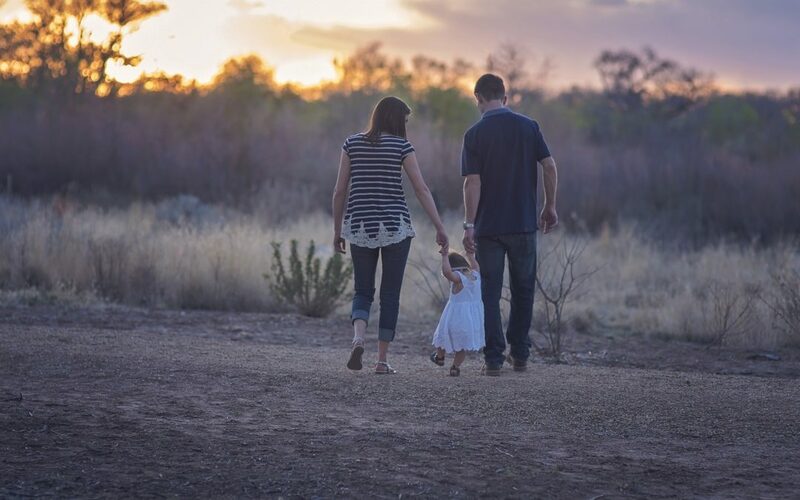 The Child Support Act 1991 (the Act) did not explicitly specify the period over which the care of a child was to be calculated for this purpose. Ms Pethers argued she cared for her daughter for more than 35% of the two relevant child support years. Ms Pethers challenged, by way of judicial review, Inland Revenue’s decision to assess her as not entitled to child support in March 2018. She wanted to know what law supported Inland Revenue’s position. She sought disallowance of the assessment of a change of circumstances as being contrary in law. On 8 March 2018, the information available to Inland Revenue did not establish Mr Walsh had accepted their daughter would return to Ms Pethers’ care after a short period, or by June 2018. Mr Walsh only appeared to have agreed to her return on 6 July 2018 after Ms Pethers had threatened proceedings under the Hague Convention. The information available to Inland Revenue when it disallowed Ms Pethers’ objection on 26 April 2018 was the same. At the time of the Commissioner’s decisions, it was reasonable and consistent with the requirements of the Act for the Commissioner to assess the previous care arrangement, under which Ms Pethers had 100% care of her daughter, as having ceased and to assess Mr Walsh as having ongoing daily care of their daughter in March 2018. The Commissioner’s decisions equitably reflected the parents’ relative levels of provision of care at the time. The child support year was not the only possible basis for calculating the period over which ongoing daily care was assessed. Usually, the relevant period can be expected to be the term of the arrangement or the period of the regular pattern of care being assessed by the Commissioner. That was implicit in s 15(1) of the Act which required the Commissioner to rely on the content of any care order or agreement. The Commissioner’s assessment must be based on the information the Commissioner had at the time the assessment was made. The Commissioner needed to assess whether short term changes to an arrangement or regular pattern changed the overall relative proportions of care on the basis of the circumstances of each case. If a parent requested a new assessment under the Act because of a short-term agreement, the Commissioner would consider the relative proportions of care over the period of the whole (short-term and resumed longer term) arrangement on the basis of the information available to the Commissioner. It was reasonable for the Commissioner to consider Mr Walsh was likely to continue to have ongoing daily care since December 2017 until at least June 2018. Mr Walsh had ongoing daily care of their daughter over that period. Ms Pethers did not, and neither did she have more than 28% or 35% of her daughter’s ongoing daily care over that period. Ms Pethers’ care cost percentage was therefore nil, under sch 2 of the Act, and no annual amount of child support was payable to her under s 31(1). That equitably reflected the parents’ relative levels of provision of care at that time. Pethers v C of IR HC Whangarei  NZHC 98, 7 February 2019. Inland Revenues Business Transformation – what does it mean for tax compliance? Any content on this website has been carefully prepared, but it has been written in general terms only. Any content on this website should not be relied upon to provide specific information without also obtaining appropriate professional advice after detailed examination of your particular situation.